Can't find a particular book? You don’t have to be famous to have an interesting past. Every family has a story to tell. It hadn’t been that long since Meara Nigro was proudly bragging to friends that her 84-year-old mother was still working full-time because she couldn’t bear the thought of having nothing to do when the jarring realization hit her that dementia had been slowly robbing her mother of her short-term memory and transporting her back to her childhood in Montana. 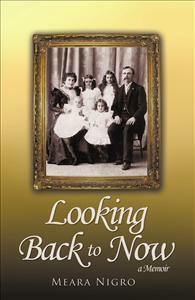 Reminiscing about her parents and grandparents while looking at old photographs from the 19th century brought comfort to her mother while arousing Nigro’s urgent curiosity to learn more about these adventurous relatives who had died long before she was born. Click Here for a SNEAK PEEK of this book. Have you read this book? Write a review and share your thoughts with other customers!